Russia has systematically prepared aggression against Ukraine, since the entire Russian diplomacy since the 90s during the signing of any international treaties included provisions that excluded the jurisdiction of any international courts in case of disputes. "Simply put, the Russians, knowing that they were not going to carry out the key, state, international treaties have included clauses that in case of violation of this agreement, they reserved the right to refuse to consider such a case in an international court," Ukraine's Justice Minister Pavlo Petrenko said during a government hour in the parliament on 7 October. Petrenko said the ministry's lawyers, diplomats from the Foreign Ministry and human rights activists have scrutinized the entirety of interstate and international treaties that Russia has signed over 25 years and the treaties the Russian Federation joined as the successor of the USSR. "It was several thousand international treaties. We have found there a small but still significant number of agreements which allow us to go to international courts without the consent of the aggressor country," the minister assured. 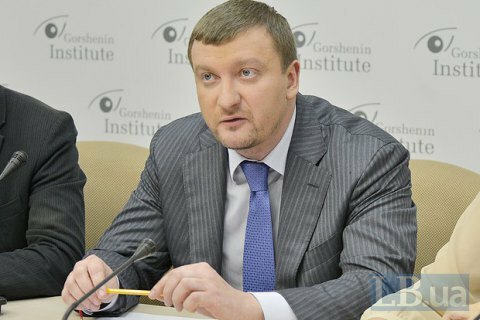 In Petrenko's words, "pre-trial and judicial work is underway on three large-scale conventions". One of the cases concerns the "brutal and brazen" violation of the rights of Ukraine over the use of its natural resources on the Crimean continental shelf. In this dispute, all mechanisms of pre-trial settlement have been exhausted and Ukraine is taking the case to the UN International Court of Justice. Petrenko expressed confidence that Ukraine will win all the disputes with Russia. "I am confident that the president of Russia, comes the time, will dream of the International Criminal Court in The Hague, and end up much worse, as dozens of dictators before him," the justice minister said in conclusion.